The latest episode of Make Me Watch It featured Jon M. Wilson and myself discussing Batman v Superman: Dawn of Justice. This week, Jon and Michael Kaiser invited me to join them for Make Our Marvel to discuss Josh Trank’s Fantastic Four. You can listen to the episode here. The latest episode of Comic Book Physics looks at the practicality of creating super powers through radiation and cosmic rays, and can be heard here. Well, it’s finally here. 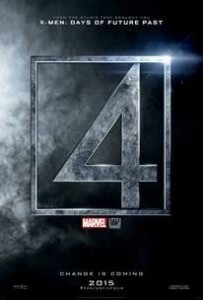 It’s not much to go on, but we finally get a look at the new Fantastic Four coming in August. Variety reports that the cast of the 2015 Fantastic Four reboot is largely in place. (Schedules need to be sorted out.) They are looking at Miles Teller for Mr. Fantastic, Kate Mara as the Invisible Woman, Jamie Bell as the Thing and Michael B. Jordan as the Human Torch. I’m not familiar with any of their work, so I won’t comment on that aspect. The only concern I have is that it no longer appears that Sue and Johnny are siblings. I question how the relationship dynamics will play out, and if they will feel like the Fantastic Four to me. Michael B. Jordan was the first person cast in the role, so I would have expected them to cast Sue Storm to match.